Some are visible; others are mere shadows of what truly happened. Each one has its own personal story. Some fresh as the day they happened, some faded by time or the lack of attention. Some are told with pride and reiterate the pain that makes us aware once more of the origin of that particular scar. Others are painstakingly avoided and only muttered under protest to admit our stupidity, stubbornness or sloppiness. Some scars have changed my life. Like the one on my back did. When I was in my teens, an oval mole (melanocytic nevus) on my back began to grow. Luckily, it was noticed in time. The dermatologist was pleased that we came in time too because the mole was digging (like moles do ;-)) and growing inside me, not only on the outside. The longer we waited, the deeper it went. When they took it out, it was already more than 6 cm deep. Unfortunately, it was right between my shoulder blades, which is a place that is devilishly difficult to keep still. I find it terribly hard to sit still 😉 So, it was a challenge to do so…for more than 6 months. Long story short, skin transplantation was needed to cover up the “hole” so it could heal from both sides (up and down). Depending on who they are, where we are and what the atmosphere is like, I would engage in a cliffhanging story of how I was shot. At some point, of course, I would tell them the truth. However, I never thought of the skin cancer awareness before. Now I do, and therefor, I wrote this article. Enough people have lost the battle against (skin) cancer. Next time anyone asks, I will tell the full story about the awareness. So thank you, dear scar, for teaching me a lesson (or two). What are the stories behind your scars? Are you too scar(r)ed to share? I am curious what you have learned from them. I was also looking at connecting with pure people. Also finding ways of purifying our environment. Examples are buying a new lower emission car, a high-performance, low- energy consuming boiler, filtering our drinking water and numerous small steps in further reducing our impact or footprint here on earth. “Pure” brought me to more transparency, open minded and inspirational talks with partners, customers and on a personal level, a higher detoxication and fitness level of my body. I also got ill for the first time in a long time, also allowing me to cleanse even more. As you probably know, I also participated in a medical research programme (where I had to eat pure chocolate on a daily basis!) about the influence of flavonoids in pure chocolate on our health. Of course, I will never know if I were in the actual test group or the control group, but it had a positive effect on my conscience about health. If you don’t feel well, you can’t live or play full out! Another important element is growing my contribution again. I feel like last year was lower than average on giving back to community and contributing to charities. Time for action! I want to pick up the pace by creating a team of great go-givers to setup a foundation to systematically starting to contribute to other charities. Raising awareness, creating pure happiness and giving people a chance that otherwise would not happen; in short making a true difference is our focus. On the business level I want to grow our business, not only in the Benelux and the UK, but also more internationally. I am happy to serve our first global clients. On top of that, we are expanding our team and portfolio of services as well. So, what is your keyword for 2013? Did you choose one yet? After participating in PSA/NSA/GSS conventions in other countries (e.g. 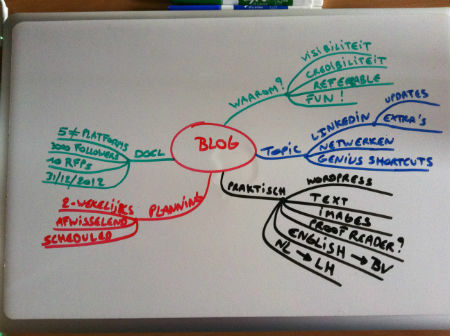 the Netherlands and the USA) before, I thought it might be a good idea to sign up for the PSAUK convention in London. So, I went there last weekend and met with “the biggest collection of like minded of missfits” (as @SeanWeafer call us, and he’s right ;-)), who happen to be members of the same club, the PSA UK and could not be easily put into a certain box. Become a member of a MasterMind group. Bring like minded people together. Build great relationships and close friendships, allow to grow together, both professionally and personally. Humour sells! I am going to incorporate more humour in my talks and training sessions. You can not replace time. Of course, I knew this already, but it was great to be reminded of it again. It got me focused again on what’s really important. “I am a professional speaker, not a public speaker.” Makes a subtle difference at first, but it is a big differentiator! “I save the world from mediocre presentations”. By constantly investing in new techniques, reprogramming myself, I stay ahead of the curve. 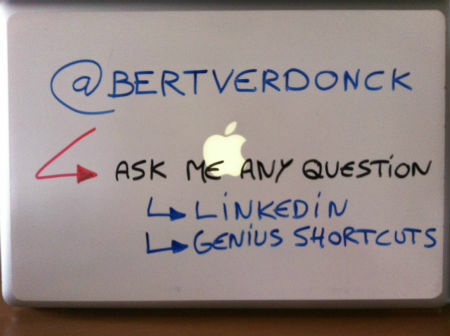 By sharing my Genius Shortcuts for Speakers, I actively contribute to make them better speakers too! It’s about R.O.E. or Return on Engagement. How to make your Social Media measurable? A lot of people have no idea what the impact of Social Media is. 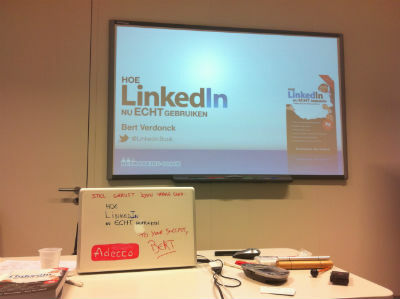 Luckily, we have developed one for LinkedIn (Ask me ;-)) already! How do you make dolphins jump? Fish! It’s all about the fish…which dolphin gets which fish? Different for every dolphin. So, what kind of fish do your customers want? Do you really know? How do you find out? One word will destroy all the empathy: BUT. If you use this word all the Know, Like & Trust you have built up so far, is completely lost again. “Yes, your presentation was really fantastic, BUT…” Remember that most people will not remember what was actually said before the “BUT”. These 10 takeaways are just one of the many things that were worthwhile visiting the PSAUK convention. I have met a number of great people, great speakers and new friends. And it is always fantastic to be surrounded by like minded people. They understand what it is that we do, what experiences we have, our pitfalls and our successes. I truly recommend it to any (aspiring) speaker! What did you learn? Or what is the first thing you want to apply? Let’s hear it!